Aizawl, Nov 6 : Indian Medical Association's (IMA) Mizoram branch has asked people of the state to be wary of quacks. K Lalbiakzuala, a consultant surgeon in the state hospital and health education department and state programme officer of Mizoram Cancer Control Society, said the so-called "faith-healers" have done more harm than good to society. "These 'spiritualists' prayed for our patients and declared that they were cured by God and instructed them not to continue taking medicine or further treatment," said Lalbiakzuala. When the treating doctors learn that the patients discontinued treatment and taking medicine, sometimes it's too late for the doctors to treat the patients who eventually die, he added. There are also some quacks who prayed for sick people who approached them and then prescribed medicines, including antibiotics, he added. He said, "It is no harm if a devotee prays for a sick man as long as he or she does not advise the patient to stop taking medical treatment or medicines prescribed by registered doctors. 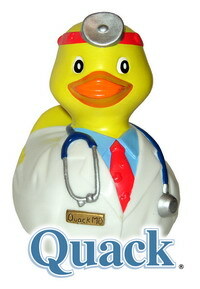 It was still harmless if a quack prays for a patient without prescribing medicine." Citing some examples, he said an old woman died after she refused to go to Mumbai for treatment of lung cancer as a quack advised her that she didn't have the disease at all, he said. Aichhinga, an agriculture minister in the Mizo National Front (MNF) government, died on July 1, 2008, at 68 after some spiritualists publicly declared that he was cured of prolonged kidney failure and asked him to stop dialysis. The incident created quite a furore, especially among the medical fraternity.